Keep the high of Bike Night going and join us for an epic MTB ride in the South Lakes. With Kendal Mountain Festival only a couple of weeks away the excitement is building for what promises to be a mega evening of all things bikes and mountains. 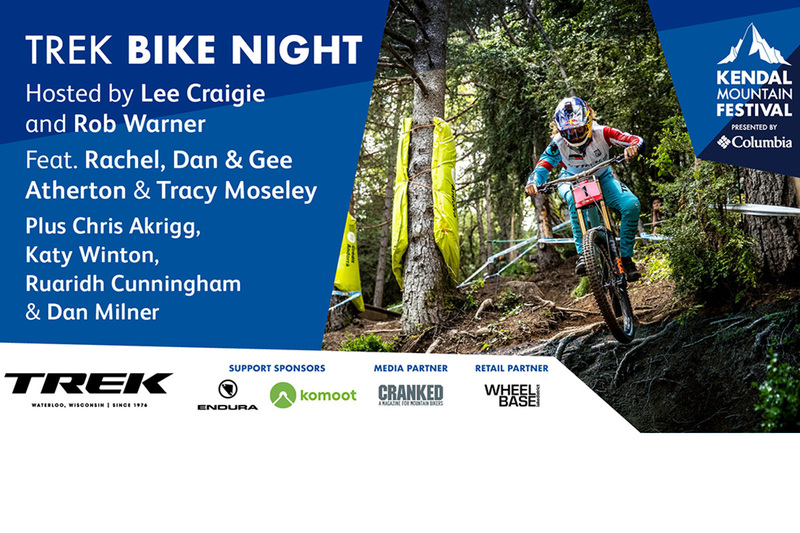 Without doubt one of the best social bike events of the year, Bike Night always delivers an evening of action packed films and inspirational talks from some of the biggest stars on the UK mountain bike scene. For 2018 Trek Bikes have been brought on board as headline sponsors of the event and bring with them a stellar line-up of inspirational speakers. Special guests include the world’s most famous bike family – Dan and Gee Atherton, who’ll be talking us through the last year and their triumphs as world champions. Tracy Moseley, another multiple world champion, will also be at the event along with several other Trek team athletes from a range of MTB disciplines. A few of the athletes will be sticking around for the morning after the night before. From our Wheelbase Staveley store, we’ll be gearing up and heading out onto Kentmere and Longsleddale. This group ride will be free of charge but with a suggested £5 donation to the Kendal Mountain Rescue team.